I’ve recently watched a documentary about Ub Iwerks, the maker of Mickey Mouse. As I watched the documentary I started to notice a similarity in our drawing styles. After seeing all the cool stuff he had been responsible for over his career I decided to embrace some the stranger and quirkier ideas that pop into my head. 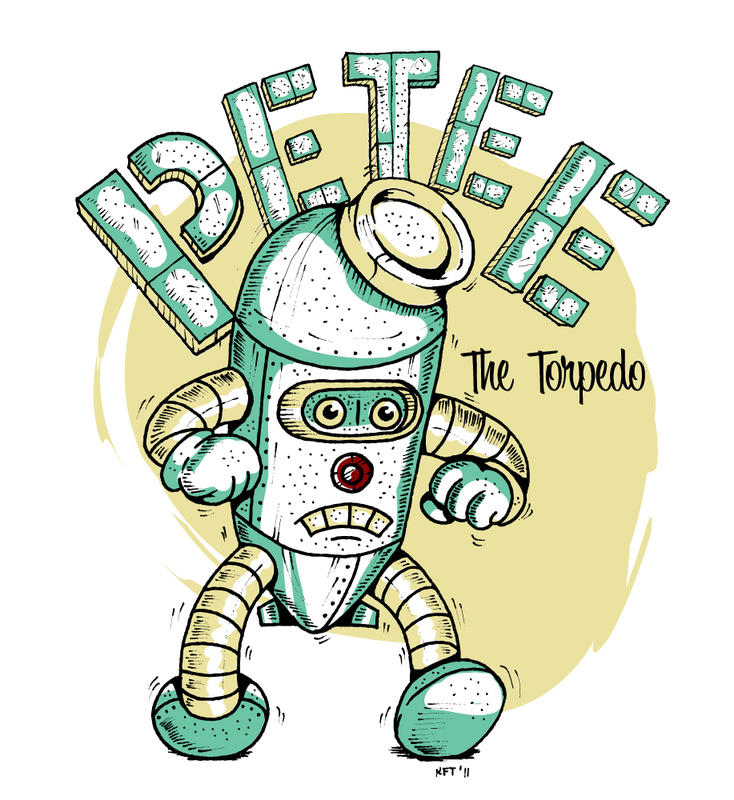 Petee the Torpedo is one of those quirky ideas. This image is also dedicated to my friends/family from the Navy. Doug, Ian, Kyle and a host of other amazing folks I served with the weird character is for you!